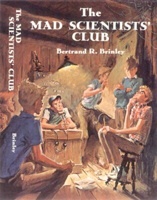 The New Adventures of the Mad Scientists' Club contains the last five separate tales of the Mad Scientists of Mammoth Falls. It makes an excellent companion volume to The Mad Scientists' Club. See the Previews page for synopses of the tales. Order your copy from purplehousepress.com/msc.htm. 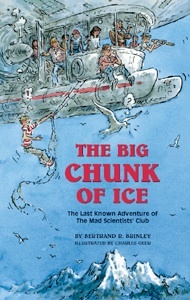 The Big Chunk of Ice is the legendary last book of the Mad Scientists’ Club series. Rumors have circulated for years among fans about whether or not it was ever printed and where. Well, this mystery is solved now. Order your copy from purplehousepress.com/msc.htm. 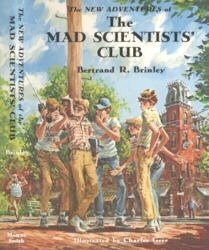 The Big Kerplop!--the book that tells how the Mad Scientists' Club was formed--is the third book in the Mad Scientists Club series. Purple House Press has just released a new edition with illustrations by the late Charles Geer. Order it now from purplehousepress.com/msc.htm. See the TBK! 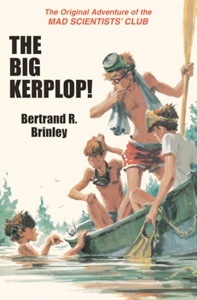 page for more information on how The Big Kerplop! was written and see examples of the illustrations. The Mad Scientists' Club brings together the first seven tales of those seven threats to civic stability, the junior geniuses of Mammoth Falls. Originally re-issued in 2001, the 40th anniversary of its first publication in 1961, this book is still going strong. You can now get your copy from purplehousepress.com/msc.htm or in the Kindle format from Amazon.com at http://www.amazon.com/dp/B0030T1WIM. Purple House Press is the fastest way to get any of the four hardcopy Mad Scientists' Club books, as they always have them in stock.